There’s a common misconception that one person cannot make big changes in the world, but Criss Forslund, a science teacher at Kulshan Middle School, has taken on that task and proven what a little hard work and dedication can accomplish. Engaging her 6th grade students, Criss brought several community programs into her classroom during the 2011-12 school year. As a result, she and her students reduced their school’s carbon footprint and begin working toward zero waste – making our world more sustainable one school at a time! 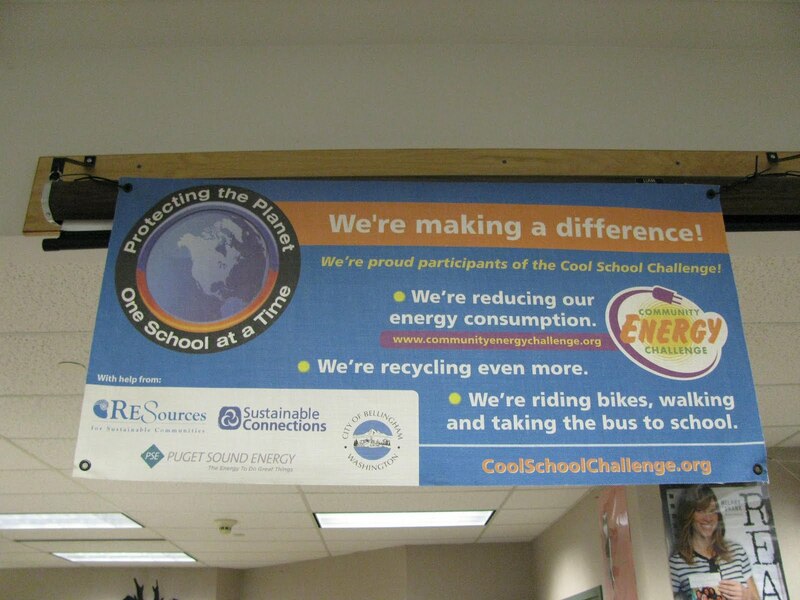 First, with support from RE Sources education staff, Criss and her 6th grade extended learning class implemented the Cool School Challenge (a program that engages students in reducing school-wide polluting emissions, utility bills and energy use). After conducting classroom energy, waste and transportation audits, the students presented each teacher with customized action plans for how to reduce their carbon footprint. 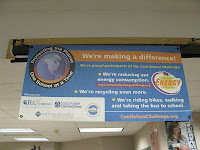 Initially their goal was to reduce the school’s annual CO2 emissions by 20,000 pounds. In just a matter of months their goal was exceeded, reducing Kulshan Middle School’s carbon footprint by 27,351 pounds per school year – that’s also an $8,516 savings on utility bills! To continue the school’s progress, Criss worked with RE Sources education staff to conduct a school-wide waste audit. 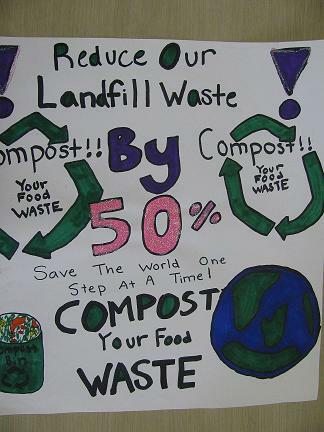 After surveying a days worth of garbage, the class found that over 50% of the material by weight that ended up in the garbage was compostable, with nearly 50% of the classroom garbage exclusively paper towels. After realizing this problem, the students signed on for the Toward Zero Waste pledge to reduce their school’s waste by 50%. 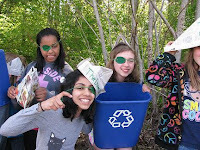 The students named themselves the GreenRRR’s and took on pirate personas as they created posters and delivered classroom presentations to educate their peers about ways to reduce their school’s waste. 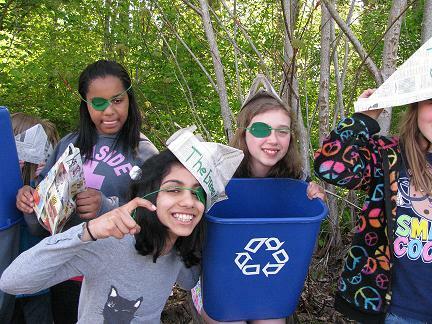 The effects of this year’s waste reduction journey will be tested next year with another waste audit in the fall (and hopefully another group of inspired students). Criss was able to use other community programs, including Alcoa’s Make an Impact campaign and Puget Sound Energy’s Powerful Choices curriculum, to provide support to her class, receive some financial incentives and gain tools to record and monitor Kulshan Middle School’s successes. Criss is also attending several professional development programs this summer to learn more about integrating sustainability education into her science curriculum. One teacher really can make change happen. The secret to Criss’s success lies in her willingness and ability to seek out existing community programs and customize them to work within her district’s curriculum. She and her students are an inspiration to RE Sources staff and hopefully a motivation for other teachers. 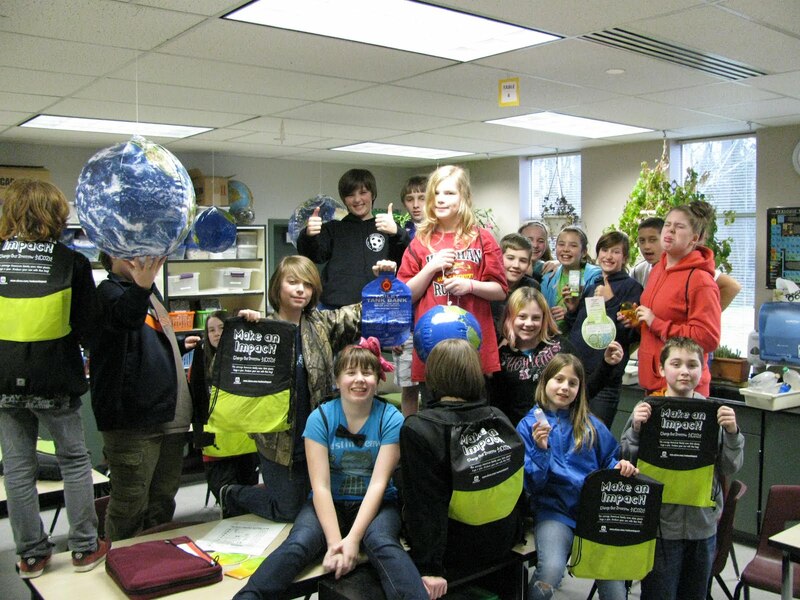 A big shout out to Criss and her amazing students at Kulshan Middle School – keep it up! For more information on RE Sources educational programs or other sustainable school programs, contact RE Sources Education Staff at schools@re-sources.org or (360) 733-8307. Seems like saving over $8K in utilities in just a few months should free up funds so school programs, staffing, and other necessities need not be cut. 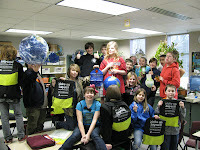 Great work Kulshan 6th Graders - We're proud of you! Part of this school's success should also be attributed to the support from the school administrators. Being able to engage teachers and students is only one part, the education programs also need to address school needs on an academic achievement level that administrators can eagerly support.